Seriously, I need a keeper. Here I sit at a lovely retreat with some of my cyber pals....and my laptop is only running on battery power...because I forgot to pack the electric cord!!! So, don't fret over me if you don't hear from me for the next few days...and I'm sorry, but I also can not post any of the CQJP challenge blocks this week...or let folks know that they are registered for 2014. I'm sure to have loads of emails to check when I get back home... so, just please bare with me. Hugs! Edited to Add: 15:20 hrs...my pal Libby from South Carolina (sweet angel of a friend) took the time to drive me home and back today to get my computer cords! The day was not a total loss....we stopped at two quilt shops too! Now that the binding for my brothers quilt is finished...I'm back on stitching my part of the three crazy quilt round robins I'm currently signed up for. This block is "Fans" and is for my pal Colleen. It's a bit non-traditional...but, so is Colleen. I think she will like it. The roses in the fan blade section are from a piece of vintage lace that I dissected just to get these blooms. The vines are a mix of three light green and two teal. The teal is an accent color I picked up from the hand-dyed lace that I chose to use in the "handle" area of the fan. There is silk ribbon only in the handle area. Pearls, crystals...and some metallic accents are scattered everywhere. Whew! A long week...and a wee surprise! It's been a long week...and I'll tell you more about that in a minute. First, a little wee surprise today from Rosalyn B. of New Jersey...these lovely pieces from some formal gowns and a cute little set of buttons. Thanks so much Rosalyn...I so needed a smile today, and your sweet gift was just the thing! I've been working on my brother's king size quilt this week. It just came back from the machine quilter...and honesty, I gave her a real problem. Not intentional...but the backing was way too narrow so she had to add fabric to it. I'm so glad that she understood and did that for me...so, I'm working to get the binding on. First the binding was made...next came attaching it to the quilt. Let me say...when you have a tiny little space to work in...a king size quilt is just a big ole bear! Then, I trimmed the backing up to the edge and decided to use the serger to overlock the edge. I read somewhere that this helped to flatten the quilt and made rolling the binding over easier. Well, it does do that...but the corners are a bit tricky...and of course I messed that up, and had to do a little needle magic to make mine even look adequate. Good thing my brother is not a critic...and doesn't sew. So, today...I'm finishing up the last side of the quilt...sewing the binding down to the back...by hand. Then, I discover that about 1/2" of the backing has been trimmed too close. Not by me...but by the quilter, probably by mistake I'm sure. Most likely, she was taking if off the frame...late at night...and didn't realize her scissors were catching on some of the backing near the trim line. So, now...I've got to go and add a piece of backing to the area...by hand...before finishing the binding. This is quickly turning into one of my "quilts from hell" in my memory! So, Rosalyn...I needed a nice thing to happen today...and you did that for me! THANKS! Lately, I've been really interested in different types of monograms. You might have noticed that I've been sharing these as free patterns on my Craftsy page. Well, here is one more for you! 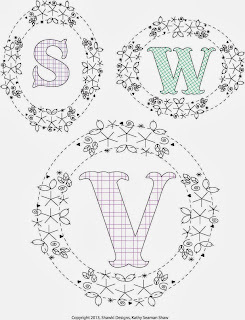 These are lattice monograms, and can be used for lot's of embroidery filling stitches. If you reduce them, they would be adorable as pin cushions, scissor fobs, or tiny little giftees. Work a little harder and create them as goldwork on velvet! That would be spectacular! I decided to create a larger framed piece with silk ribbon for a special frame gifted to me. It will be completed soon and I'll show you the framed work. For now...here is the stitched part anyway! This ribbon design is also included in the pattern as an oval and as a circle...in two different sizes. Here is my portion of the block. If you go back a couple of posts, you can see the "before ribbon or beads" look. Totally different for sure! After being finished with the embroidery work...I changed my mind and decided to add some vines within the spider web area. It was just too open to be considered 'encrusted' style. I still have to write in Ritva's little booklet today and get it packaged for mailing. It will be fun seeing what the other ladies in the group add to this block. I really enjoyed working on it! Here's another closeup for ya! Today, over at pigtalesandquilts blog, Thearica posted about her thirty-two pairs of scissors...and about her friends at Kens Sewing Center where a lot of hers came from. Well, I don't have 32 pairs...but, I too have many more than I would have guessed! Above are my yucky paper cutting scissors...and they cut tape too which makes a couple of them gummy. These are my project scissors for hardanger work, crochet, applique, and embroidery and I keep them in a cup or with the project I'm working on. There are two pairs "missing" that are shaped like little fairies...but Aidan probably has them with her things...and I was not going to attempt to sift through all of her toys, books, crayons, etc. to find them...so we won't be counting those in this hunt. The brown handle ones came with my old Pfaff sewing machine some 30 years ago. And the one in the middle folds up so you won't jab your tote bag when carrying them! The ones I use most often have little fobs hanging from them...to help me locate them in my project containers. These are my main scissors. You will note that there is only one pair of dressmaker scissors. They are Gingher, and I've never needed any other. Of course another pair just like them would be great! My little gold embroidery scissors are also Gingher. One pair I use almost every day and the other is my spare, never been out ot their box. And these are my most recent purchases. 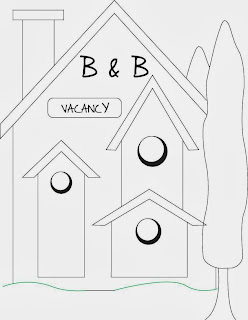 They will be giftees and are so cute in their black on white and white on black handles. Total for me is 21 pairs...how many do you have? Today, I found time to get the blossums on the wisteria. Hoping to get more stitching in tonight and tomorrow...if Brady decides to take a nap. He is getting older...and the naps are getting shorter and further apart. Hugs! But, he keeps busy... Click above to check out how busy he is...makes me tired just to watch! 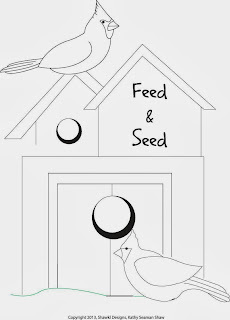 I'm done with the first embroidery block in the Bird House Village Quilt. Mine will be stitched in blues! They will match nicely with these two shades of blue fabric. These and one solid white (like the embroidery blocks) will create the triple Irish chain center blocks, and I'm hoping to get some of those done this weekend. I'm starting a count of embroidery blocks completed to keep me motivated. There are twenty-eight blocks needed for the queen-size quilt and I'm sure to get tired of stitching on them. But, a few at a time and before too many months have passed, they will be done! After all, I can't finish what I don't start...no matter how long it takes me! Ha! 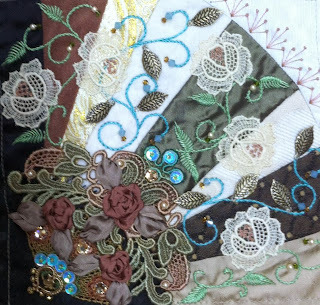 This weekend, I managed to even get a little crazy quilt stitching done on Ritva's block. Next comes the ribbon work and the beading...which will totally transform this basic stitching into a floral wonderland. I hope so at least! And, if you are wondering what that piece of spagetti is doing right in the middle...(and I know that some of you are! )...it's not spagetti...it's a piece of jute that is couched into place for the vine part of my wisteria. Or, it could be for grapes...hugs! This is my friend Pam...she is a wonderful person. Much too nice for me to post a photo of her on line for folks to see...since she came over and ironed blocks while I cut. And she did it early in the evening...without makeup. But, I'm not near as nice as her...so, here's the photo of her smiling face. Love ya Pam! And for those of you that might be wondering...this is my living room Yes, it's small and yes, it's crowded. The room measures 9 ft across and 12 ft long. It used to be a kitchen, and if you look on the right wall you'll see that the wall plug is very high. The big-screen television (that I had to find space for when my daughter moved) is at the end of the room...that's the only place it will fit. A hope chest and black shelf unit is on the right side...and holds fabric and craft supplies...and I stack finished quilts/projects/stuff on top. A dresser full of completed crazy quilt projects is on the left wall along with Brady's baby swing (in the foreground). I'm standing behind the double recliner so you can't see that...but it makes a "wall" to close off the room. There is a walk way between the bedroom and sewing room right behind that recliner. And lastly, almost the entire wall on the left side is a design wall...you can see that I have finished my Merry Merry Snowman quilt top...except that I want to add some final special touches before it gets layered and quilted. So, no show place for Southern Living Magazine for sure...but, it's cozy, functional...and I love my space. And my friend Pam likes it too! Still, y'all can come visit anytime...just not all a once unless you like to stand up. HUGS! Isn't she pretty?!! And my muse is dancing with all the project ideas! But, the serger has a disk of techniques that needs to be viewed first, because frankly...I'm scared of it! So, it will take a calm spirit and a clear head before I attempt to even turn it on. Hopefully, this time next month...I'll be serging like a pro...or at least can say that I have successfully NOT sewn through my finger. Ha! Huge thanks to all my friends and family for helping me out. My spirits are renewed and positive energy is all around me today! Sending out hugs to the entire universe right now! 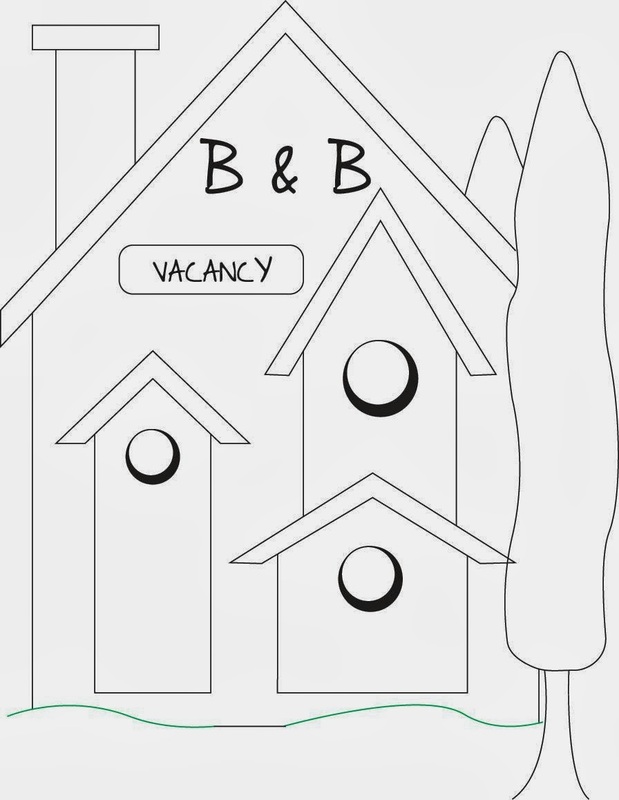 Bird House Village is complete! 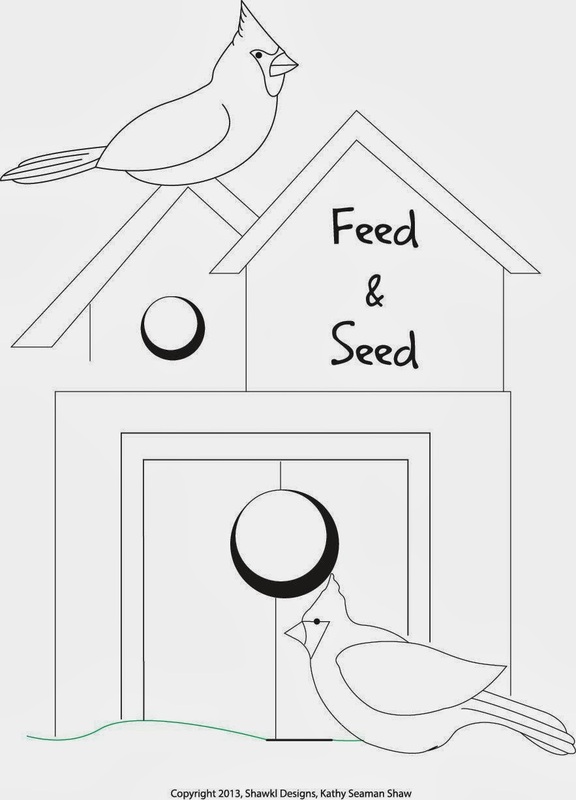 The Bird House Village pattern (73 x 94 inches) is complete and loaded on Craftsy! Woo Hoo! The center of the quilt is a traditional Triple Irish Chain done quickly with strips of fabric. 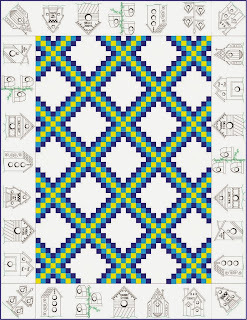 The border is embroidered as individual blocks and assembled with the center in rows. The village includes ten different designs that are mixed'n'matched to create an entire village. Simple embroidery stitches are all that is needed to create the blocks. 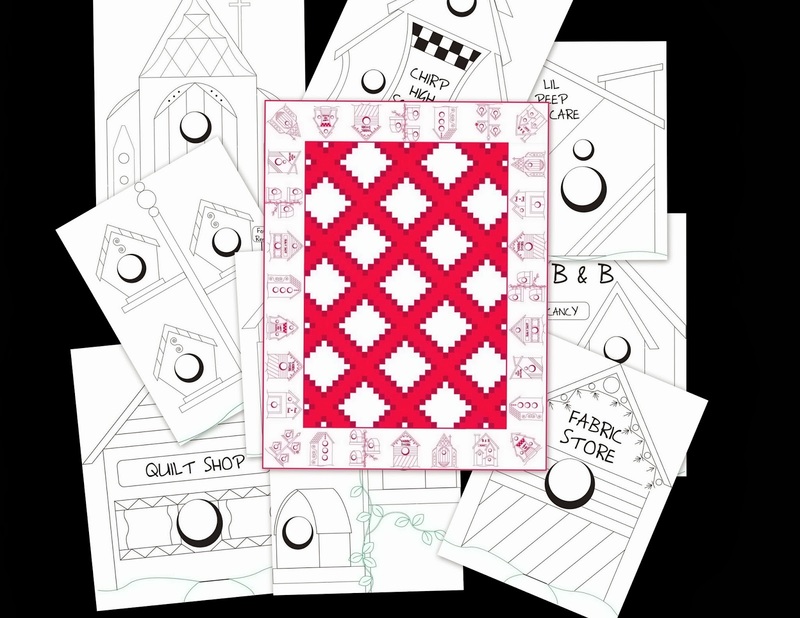 This quilt would be possible for even a beginner with the skill to sew a quarter inch seam...and do basic embroidery. 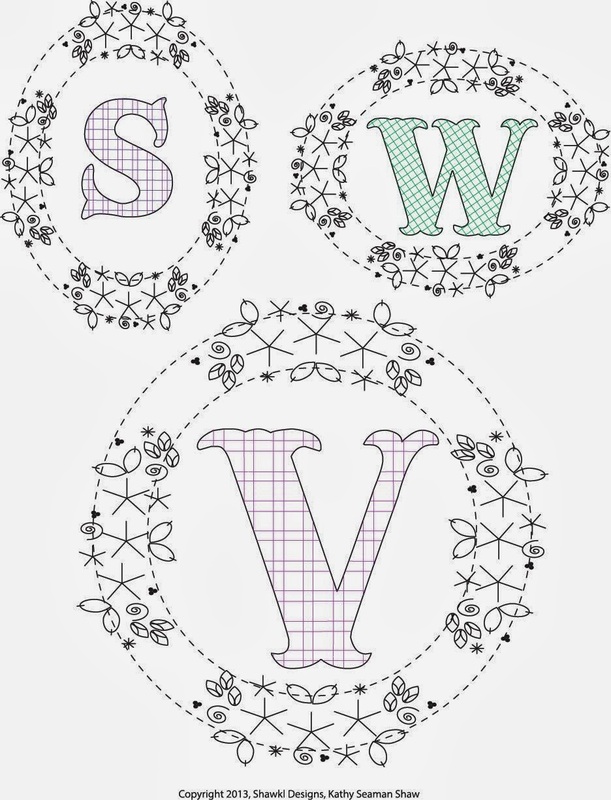 My friend and Pam are going to do this in spring colors but it would be just as pretty in redwork. 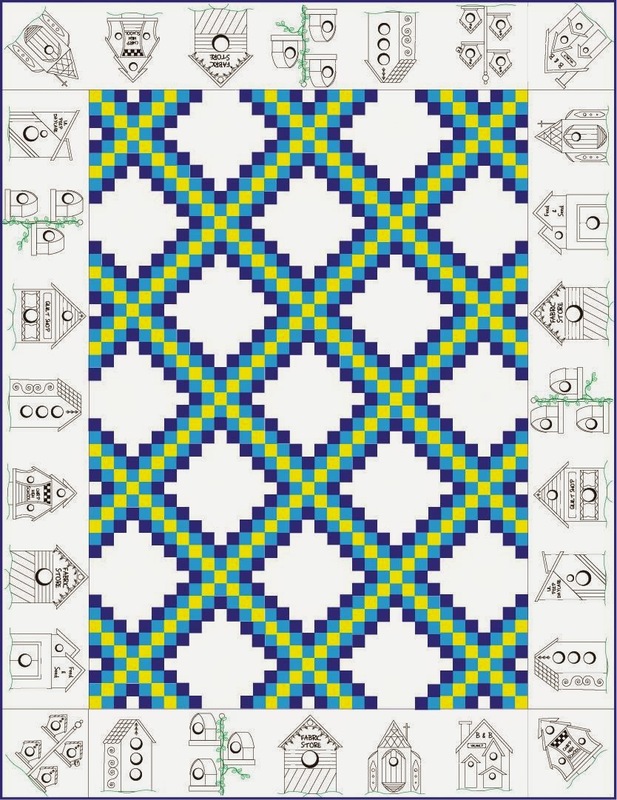 The pattern include full size embroidery designs, a full size quilt design for the center blocks, and full instructions on completing the Triple Irish Chain portion and assembling the quilt. 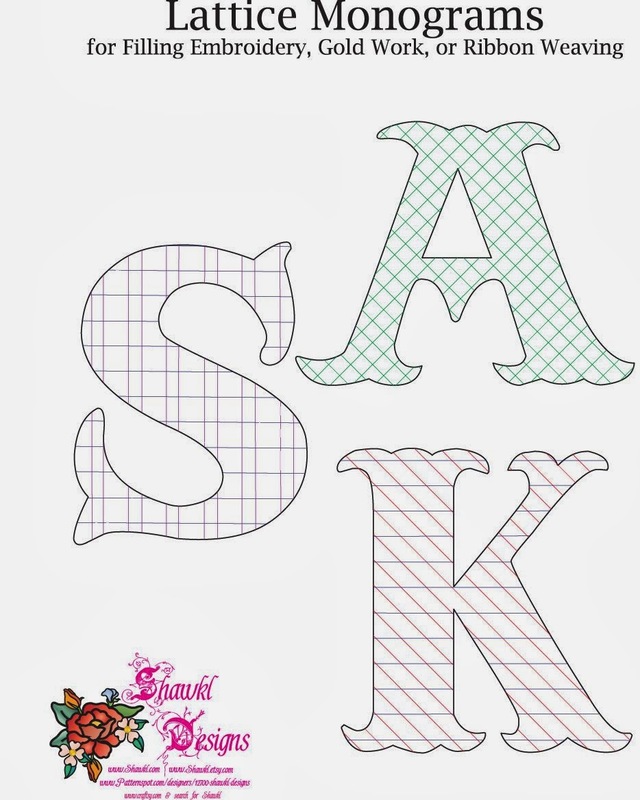 Basic embroidery skills and basic quilting skills are needed to complete the pattern. Check out Craftsy (search for Shawkl) for the pattern to read more about it. 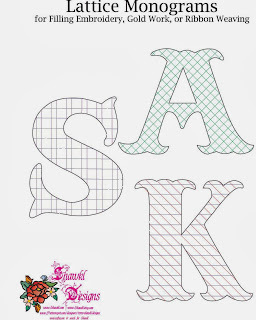 The pattern is available for immediate download.